Researchers have found that spinach (Spinacia oleracea) exhibits potent antacid activity. 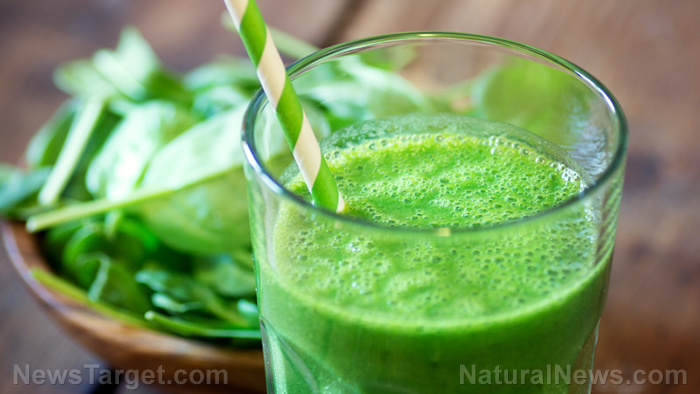 The study, which was published in the Journal of Complementary and Integrative Medicine, looked at the antacid effect of raw spinach juice and methanolic extract of spinach. Earlier studies have reported that spinach, which is a green leafy vegetable, contains powerful medicinal properties due to its numerous antioxidant phytoconstituents. The researchers, who were from Principal K.M.Kundnani College of Pharmacy in India, compared the antacid effect of raw spinach juice with an antioxidant-rich methanolic extract of spinach in an artificial stomach model. For the study, the researchers determined the pH of methanolic spinach extract at 50, 100, and 200 milligrams per milliliter (mg/ml) and its neutralizing effect on gastric acid. They also compared methanolic spinach extract with raw spinach juice, water, the active control sodium bicarbonate, and an antacid drug called ENO. The researchers used a modified model of Vatier’s artificial stomach to determine the duration of consistent neutralization of artificial gastric acid for the test compounds. They also assessed the neutralizing capacity of spinach and other test compounds. The results revealed that spinach juice and the methanolic extract of spinach, as well as sodium bicarbonate and ENO, exhibited better significant acid-neutralizing effect, consistent duration of neutralization, and higher antacid capacity than water. Raw spinach juice displayed the same effect as the highest concentration of methanolic spinach extract. With these findings, the researchers concluded that spinach, whether in the raw juice form or as an extract in methanol, possesses significant antacid activity. To read more studies on superfoods like spinach, visit Superfoods.news.